The calendar says it's only a few weeks until spring despite that pesky groundhog and the weather outside. 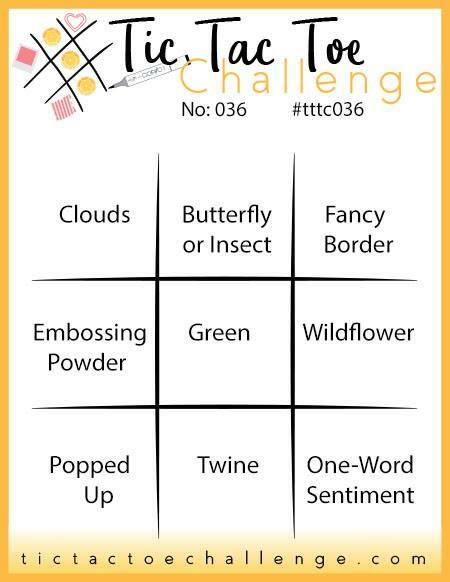 But, I was hopeful and inspired by this week's Tic Tac Toe Challenge board and I know you'll be as well! The patterned paper is from Echo Park's Homegrown collection, and what's the most charming vessel in which to put wildflowers? A mason jar, of course. 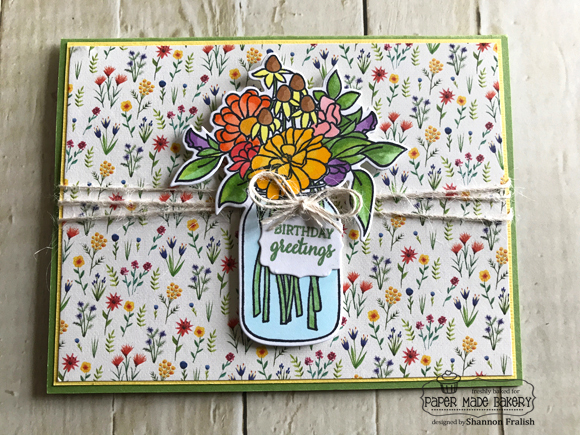 This stamp and die are from Taylored Expressions and it's appropriately named Wildflower Bouquet. I also used a Taylored Expressions die to make that sweet little tag -- there are eight different tags to choose from in the set called Designer Mini Tags. To finish off this card with a rustic touch I used ivory jute twine. Keep hopeful and thinking about the daffodils that are sure to bloom sometime soon, bringing a smile to your face and sunny days to your neighborhood. 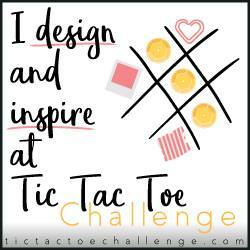 In the meantime, why not create a lovely card with our Tic Tac Toe Challenge board and bring that smile to someone's face this week!